A pump and dump is an illegal scheme based on securities law and can lead to heavy fines and prison for those involved in the scheme. This scheme has been around forever and with the internet it has made this scam easier to do. 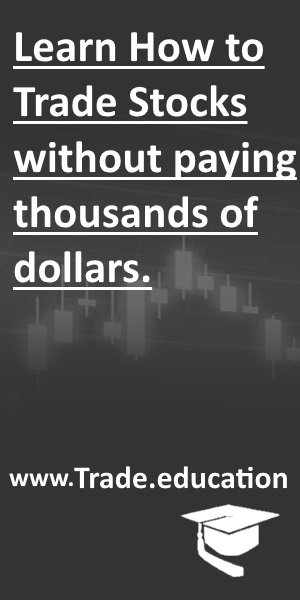 A pump and dump scheme involves hyping a company’s stock to boost the price of a stock through recommendations based on false, misleading or greatly exaggerated statements. The individual or group (the perpetrators) involved in the scheme, will establish a position in the stock by buying up hundreds of thousands, or even millions of shares of the company’s stock. They will begin to hype the stock through a variety of statements that sound very exciting, but are actually false. They might use websites, social media, message boards, press releases, or send out thousands of e-mails or mail publications to drive interest to the stock urging potential investors to buy shares. Unsuspecting investors buy the stock, causing the share price to move higher, sometimes doubling, tripling or more in value. Then, the perpetrators sell their shares (the dump) at a profit and the stock price will often crash down, leaving unsuspecting investors with a stock that had lost a considerable amount of its value. Pump and dumps are typically associated with microcap companies, which are also known as penny stocks and trade over the OTC Bulletin Boards and Pink Sheets. These type of stocks are much easier to move and manipulate compared to larger cap stocks because they have a low share float and it does not take a lot of buyers to push a stock higher. Pump and dumps are often associated with penny stock promoters. While, stock promotions in the past were originally used as way to help very small companies raise capital, over the past decade or so, stock promotions have spawned into a type of pump and dump scheme. Nowadays, you’ll find atleast half of the stock promotions going out there are used as a means of making fast and easy money for large shareholders and company insiders looking sell their shares at higher prices for their own personal gain. These type of stock promotions have become an epidemic in stocks trading over-the-counter over the past decade or so. AwesomePennyStocks.com engages in pump and dump tactics; where they hype up their latest stock pick by sending out emails to their thousands of subscribers and use press releases to pump the stock. Many of the stocks they recommend are worthless companies and their pumps is setup to benefit large shareholders of the company. In addition, they most likey “front load” shares (i.e. buy shares before a promotion starts) in order to dump them on unsuspecting investors when the price moves higher. During the dot-com era frenzy in 1999 and 2000, when everyone wanted to be involved in the stock market because it was ripping new highs, a 15-year-old named Jonathan Lebed showed how easy it was to use the internet to run a successful pump and dump scheme. Lebed purchased thinly traded stocks and then pumped them on internet chat rooms and on message boards encouraging people to buy. Once these stocks rose he sold them for a profit, leaving the other investors holding the bag. Somehow the U.S. Securities and Exchange Commission (SEC) found out about this and filed a civil suit against him alleging security manipulation. In 2001 Lebed settled with the SEC and payed a $285,000 fine. He neither admitted nor denied wrongdoing and in the end, he was able to keep close to half a million dollars. (see wiki). Currently, Lebed is still in the stock pumping game, where he runs his own stock promotion website and is also involved with another website that pumps stocks called National Inflation Association (NIA). You can read more about NIA here. Every week a new pump and dump appears, looking to take advantage of naive investors that don’t understand how the pump game works. Trading pump and dumps can be very profitable as many traders that understand and know how pump and dumps work have made a living trading pump and dumps. However, anyone new to the penny stock scene should avoid stocks that are being pumped until they get further educated on how to trade pumped stocks.